If it's delicious, it has zero calories. One of the many things I love about living in New York City is having access to a plethora of food. On every street corner, there's a restaurant I've never tried, and a new pop-up stand shows up almost every week. I've been eating desserts since I've had my first set of teeth, and I've been taking pictures of my desserts since I got my first camera. No matter the weather, I believe it is always the season for something sweet. Let's walk through five of the best places to cure a sweet tooth. Nestled within the eclectic buildings of SoHo, this boutique serves an assortment of cupcakes made fresh every day. There are a few permanent flavors (red velvet, chocolate, and vanilla) and over 25 flavors that are seasonal or on rotation throughout the week. Unlike other cupcakes I have had, the frosting on these is smooth, rich, and creamy without being overpowering. 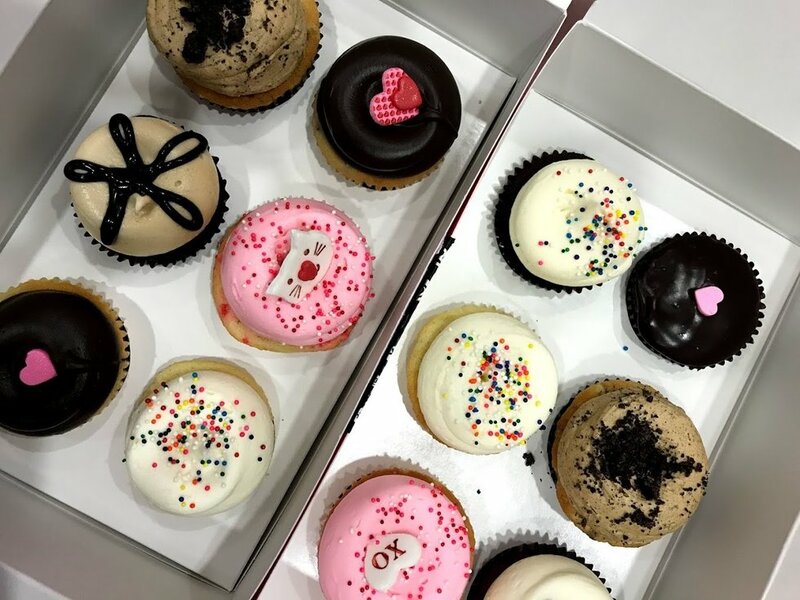 In addition to being pretty by themselves, the cupcakes are also packaged in pink boxes — so cute! Snap a picture for Instagram before you dig into one (or a few) of these. Adorned with hints of blue for their mascot, a Yeti, Snowdays specializes in Taiwanese shaved ice: soft, fluffy pieces of "snow" that melt in your mouth and taste like ice cream. They have different flavors for the snow: matcha, black sesame, coconut, "Yeti tracks" (blueberry and Oreo), and sweet milk, to name a few. Then you can add a variety of toppings from condensed milk, mochi, Pocky sticks, wafers, fruits, and more. You can also select from their existing "Yeti favorite" combinations, as well! "Taiyaki" is a Japanese fish-shaped pastry filled with bean paste/custard. At Taiyaki, the fish are filled with a swirl of soft swerve available in different flavors (matcha, black sesame, chocolate, etc.) You can also add different toppings to them (mochi, sprinkles, wafers, etc.) They also currently sell a Unicorn combination featuring strawberry vanilla soft serve with white chocolate pieces shaped as the unicorn's ears. This ice cream parlor is one of my favorites for taking photos — the entire store is flooded in natural light from two large windows facing the street. 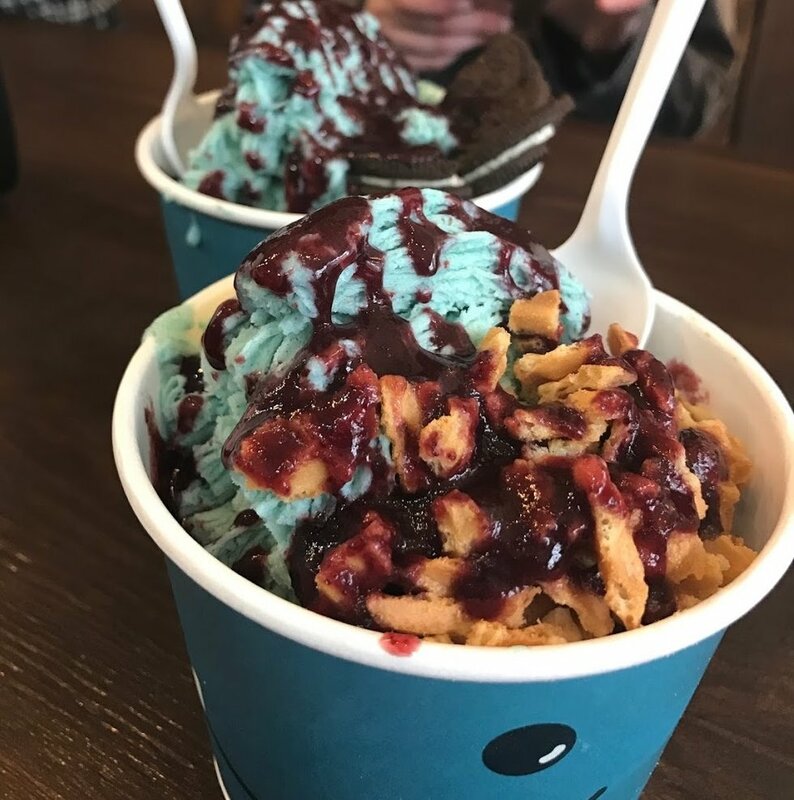 Found in the quaint neighborhood of East Village, you can choose from a variety of ice cream flavors here from wasabi to cookies and cream to taro. You can't go wrong with any choice; all of the ice cream here is smooth and full of flavor without being too sweet. Found in the heart of Chinatown/Little Italy, this cafe is bathed in warm light and a cozy coffee shop vibe. They serve a variety of desserts such as specialty waffles and drinks frothed like animals, but they are best known for their Korean shaved ice (bingsoo). 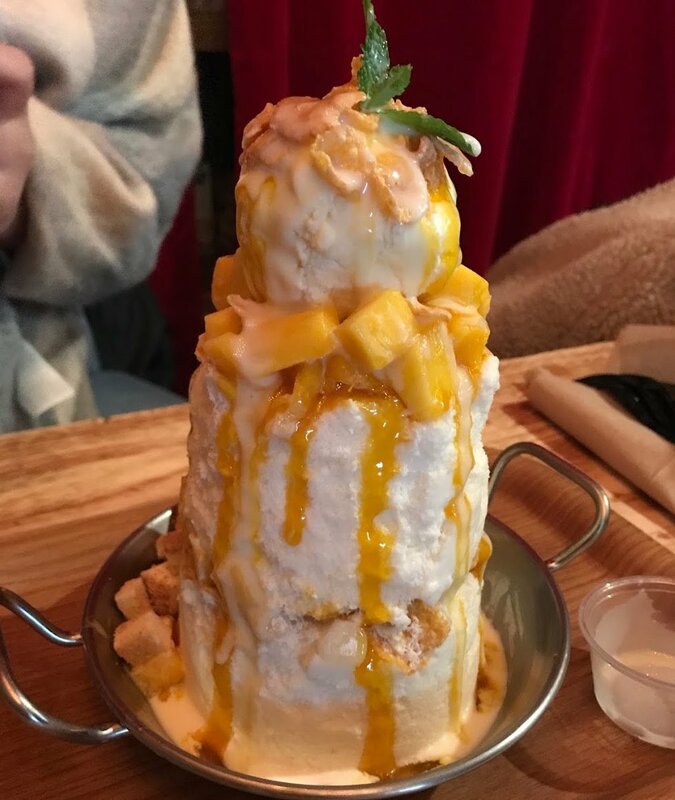 The shaved ice comes in different flavors (mango cheesecake, coffee, matcha, to name a few) and is topped with different sweets such as ice cream, cheesecake, and fruits. When you take your first bite, it automatically melts in your mouth for a creamy delight. Condensed milk is served in a tiny cup for you to shoot a quick Snapchat video of the drizzle. The desserts are quite large, so it is best enjoyed with a couple of friends!